When white daikon radish went on sale for only 9 cents per pound, I did what I had to do – I bought pounds and pounds and pounds of it, found different ways to cook it, and ate nothing but daikon radish for two weeks. It was awesome! 🙂 So here is a list of dishes that you can make using white daikon radish. Let me know if you can think of more items! If you’ve never cooked daikon radish before, I should warn you that the cooking process releases an unpleasant odour. But once the radish is fully cooked, the smell goes away, and the radish has a mild flavour. 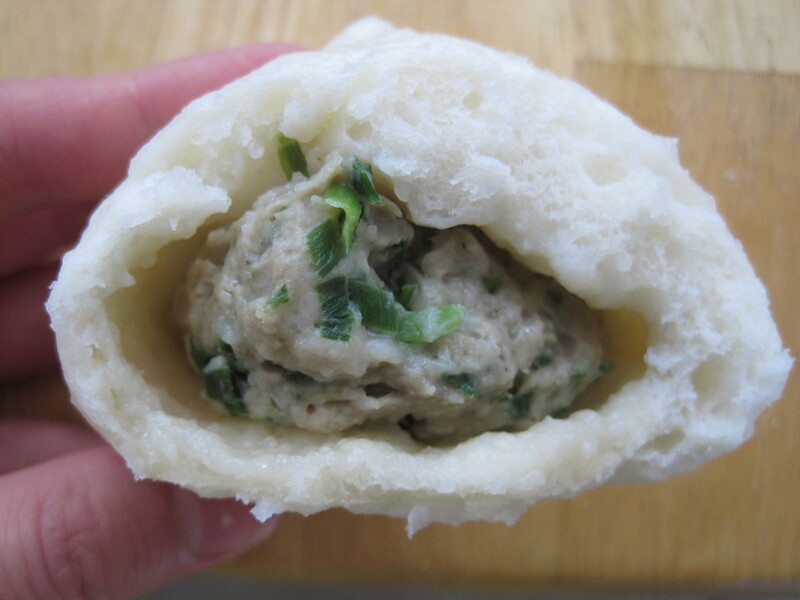 I love Chinese steamed buns with savoury meat fillings. 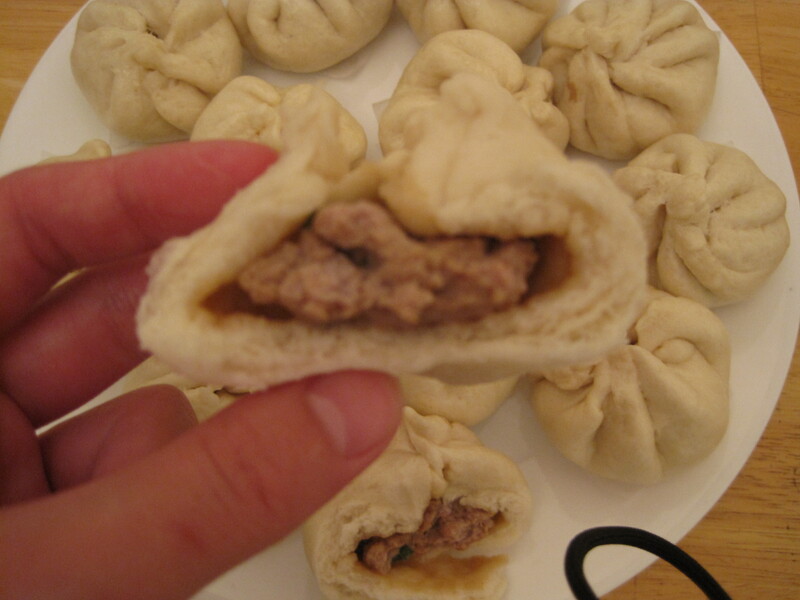 (See my pork and napa cabbage filling here.) Although these buns are time consuming to make from scratch, they’re easy to make and homemade buns don’t have MSG. If you take the time to make a large batch, you can freeze the extras and make your efforts last. Chinese steamed buns are usually eaten for breakfast, brunch, or lunch, and they make the best snacks. Best served piping hot, they can be made with sweet or, my preference, savoury fillings. 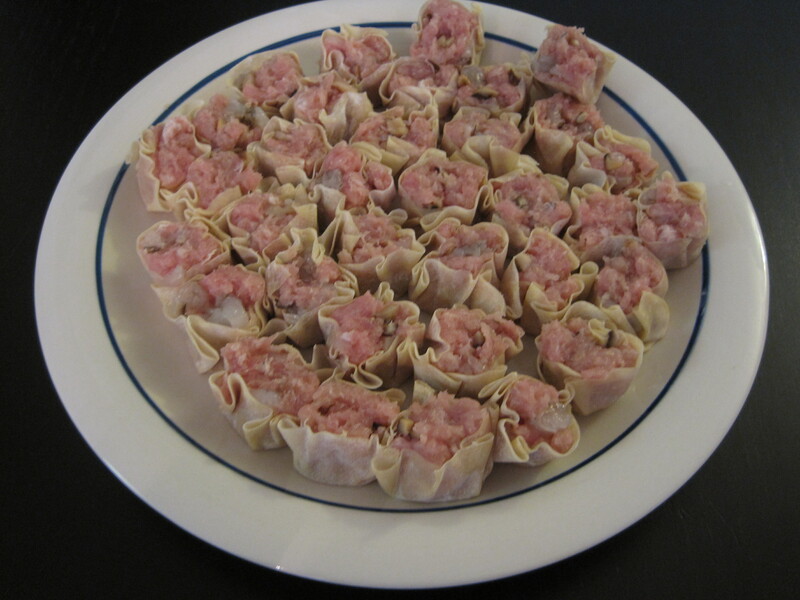 (See my chicken or pork and Chinese chive recipe here.) Although these buns are time consuming to make from scratch, they are quite easy to make and I’ve provided a shortcut option in the recipe below. Also, you can make a large batch at one time and freeze the extras. Although the store-bought frozen buns can go from the freezer to the table in under 20 minutes, they contain MSG, preservatives and too much sodium. One of my favourite dim sum dishes is steamed rice noodle rolls with prawns (har cheong fun). We order this every time we go to yum cha (“drinking tea time”) which is a Chinese meal that can be enjoyed any time between really early in the morning and early afternoon. You could easily substitute the shrimp with Chinese BBQ pork or ground beef or stir fried snow pea shoots to make other popular dim sum cheong fun dishes. Personally, I’ve always preferred the texture of dim sum cheong fun to the cheong fun with dried shrimp and green onions (recipe here). 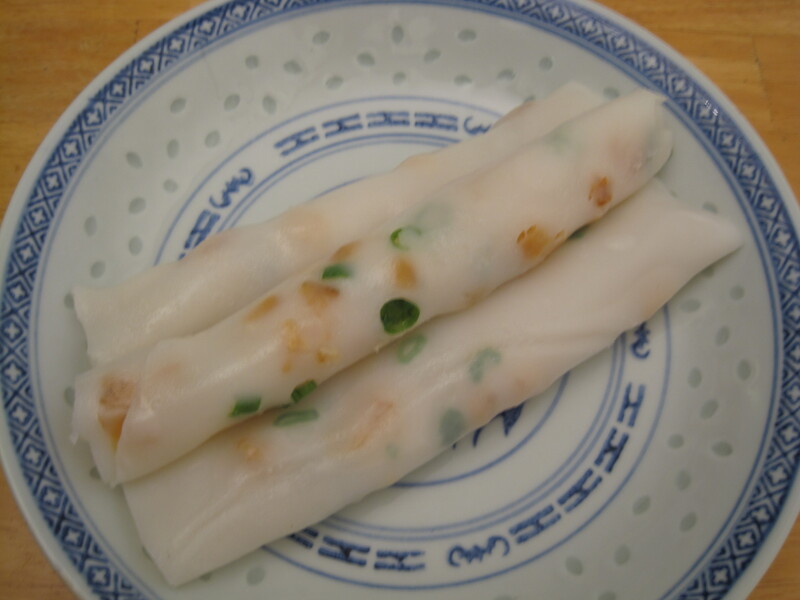 For plain cheong fun and sweet sauce (teem cheong / timzheong) recipes, see here. 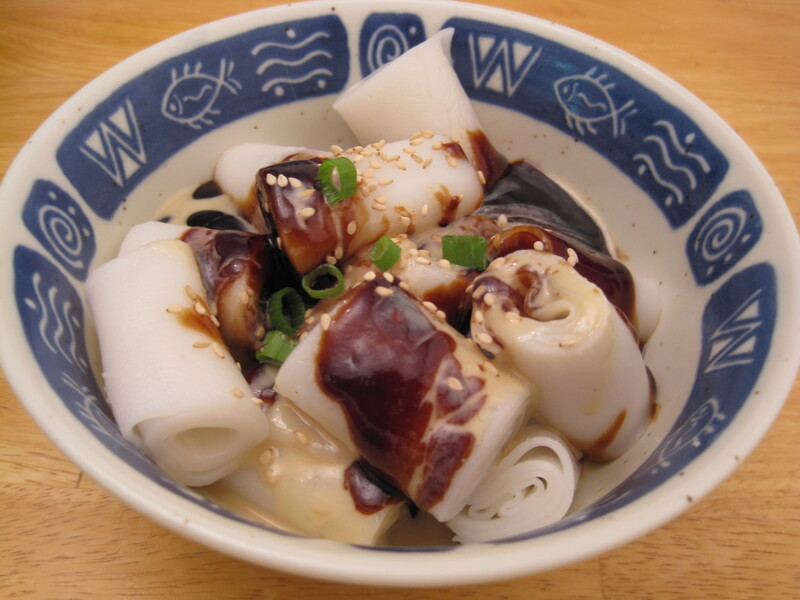 Chinese rice noodle rolls (chee cheong fun) are steamed and can have various fillings. 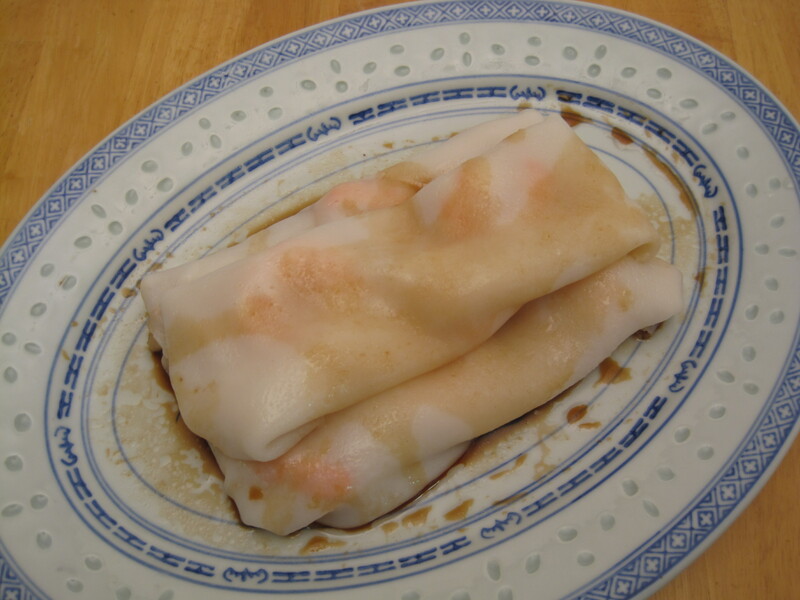 (For plain cheong fun and sweet sauce (teem cheong / timzheong) recipes, see here. For cheong fun with shrimp, see here.) My parents used to buy cheong fun with dried shrimp from the grocery stores quite often until they heard that they contain the harmful additive borax. Now that I know how easy they are to make from scratch, minus the additives, my parents can enjoy these again. Congee (jook) is Chinese rice porridge that can be served at any meal time (from breakfast to late night snack). It can be a meal within itself or, if served plain, it can act as the rice substitute when eaten with meat and vegetable dishes. Also, it is kind of like the Chinese equivalent to the Western chicken soup cold/flu remedy. Congee is made by boiling rice in excess water. Depending on the region in China, the texture, wateriness, seasoning, and accompanying side dishes of congee vary significantly. So make it to your taste. I like it all ways but I prefer congee that has been boiled until the rice breaks down, becomes very soft, and results in a slightly watery, semi-thick porridge. Sometimes, I use my immersion blender to give the congee a smooth, homogenized consistency. The best accompaniment for any congee is deep fried dough sticks (you tiao / yau char kwai). When I’m eating plain congee (on its own and not as a rice substitute), my favourite side dishes are the flavourful and cost effective salted duck eggs (see recipe here), spicy fermented bean curd, preserved vegetables with chili (ie. radish or turnip), pickled lettuce stems, or shredded dried pork (also known as meat floss). I also love ground white pepper in my congee. To make plain congee, use my recipe below but omit the pork and preserved duck egg. Chinese BBQ pork buns were the first steamed buns that I ever made from scratch. I couldn’t believe how well they turned out. The buns are soft and fluffy, and just like the restaurants’. I’ve been making steamed buns ever since (check out my chicken steamed buns and pork steamed buns recipes). Note that the filling in the restaurants have red food colouring in them. You can do this at home too but I prefer not to. 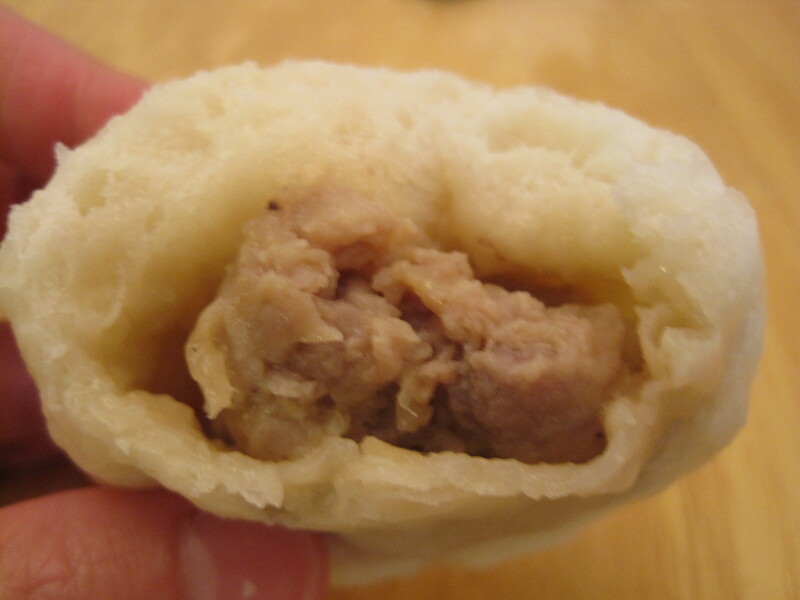 For the baked BBQ pork buns that you can buy in Asian bakeries, see here. 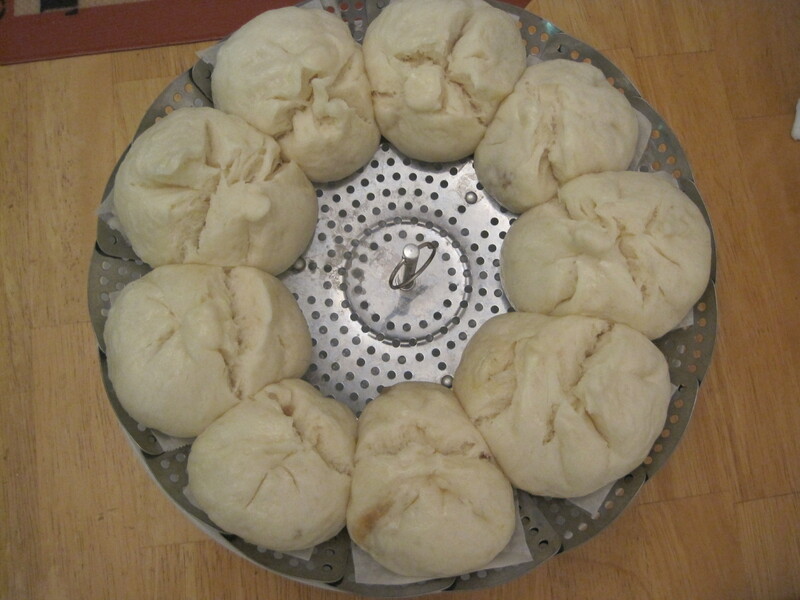 Pictures below from top moving counter clockwise: steamed BBQ pork buns; buns before going into steamer; and buns after coming out of the steamer. This recipe uses Chinese fermented black beans (douchi) which have a sharp smell and a unique salty flavour that is also slightly bitter. 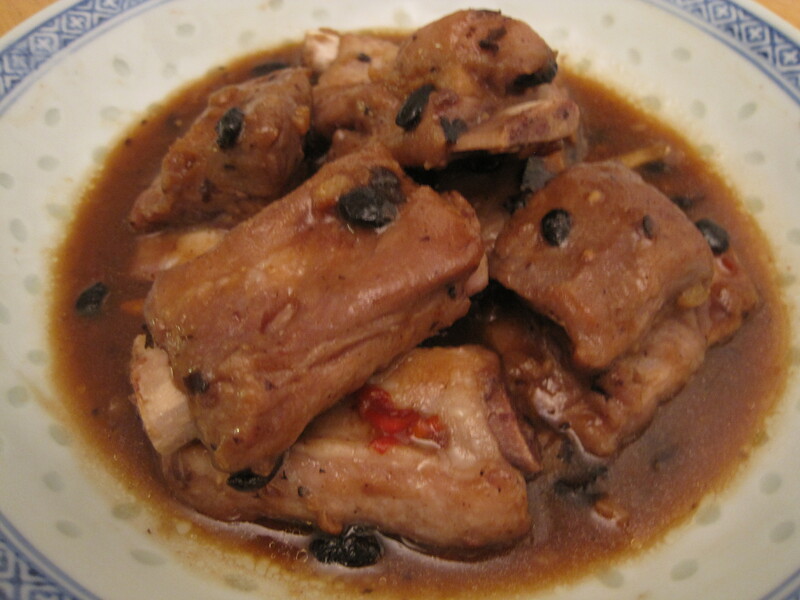 They are used to make black bean sauce (which can be purchased in stores) that is used in some Chinese noodle dishes, chicken stir fries, bitter melon dishes, and steamed pork spareribs, to name a few. 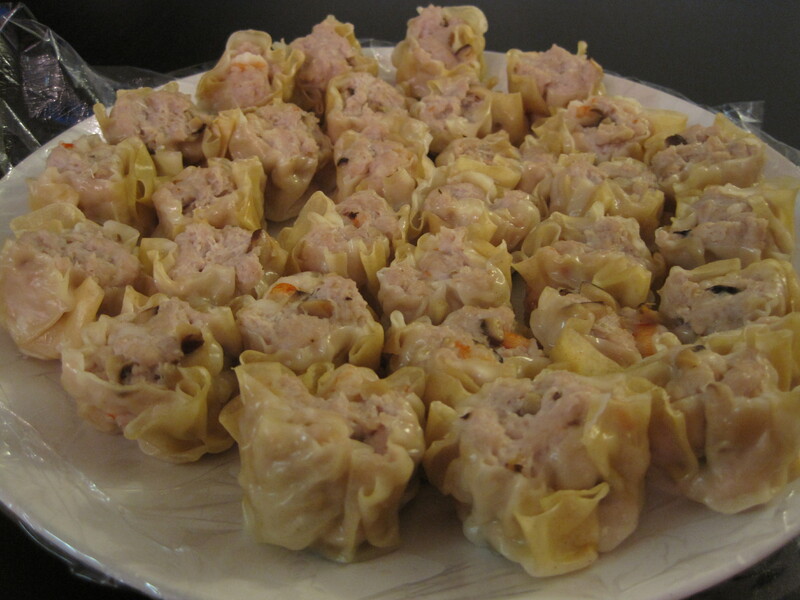 Siu mai is one of the simplest ones to make. You can make a large batch at once because they freeze nicely. 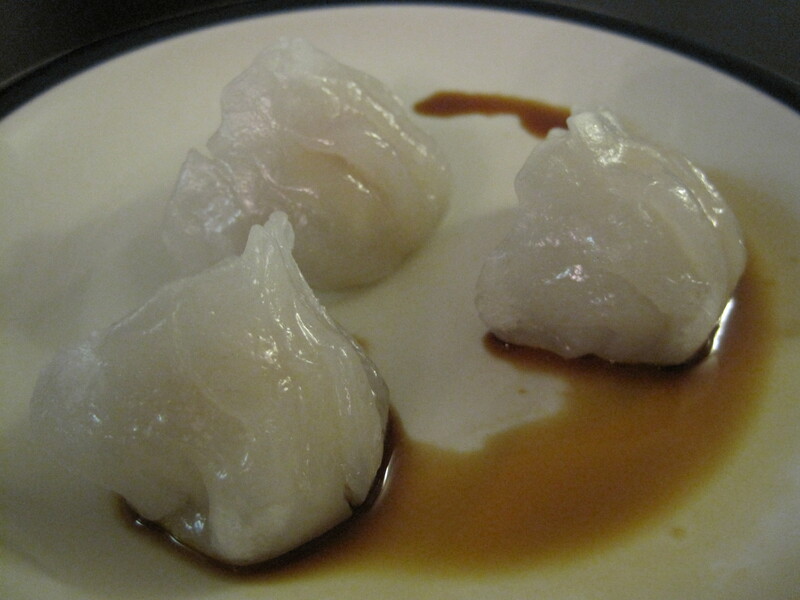 Below left: Siu Mai after being cooked. 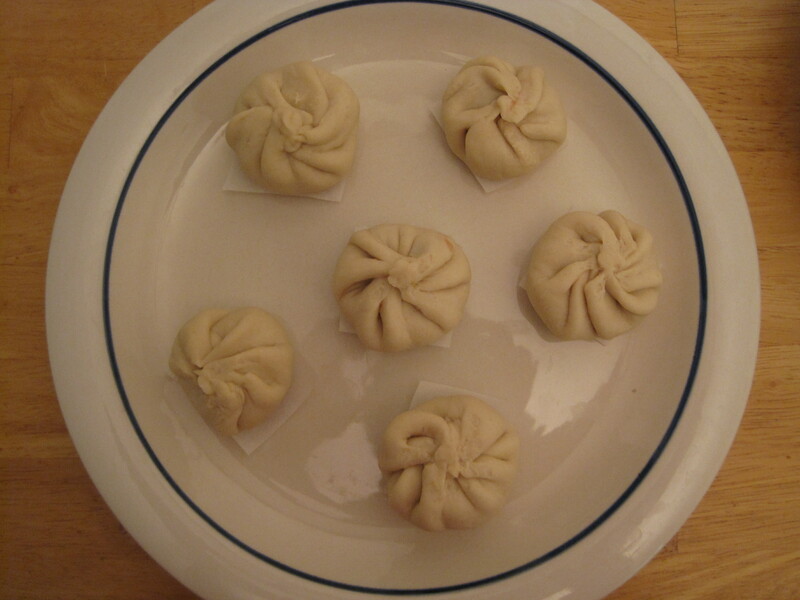 Below right: Siu Mai before going into the steamer. 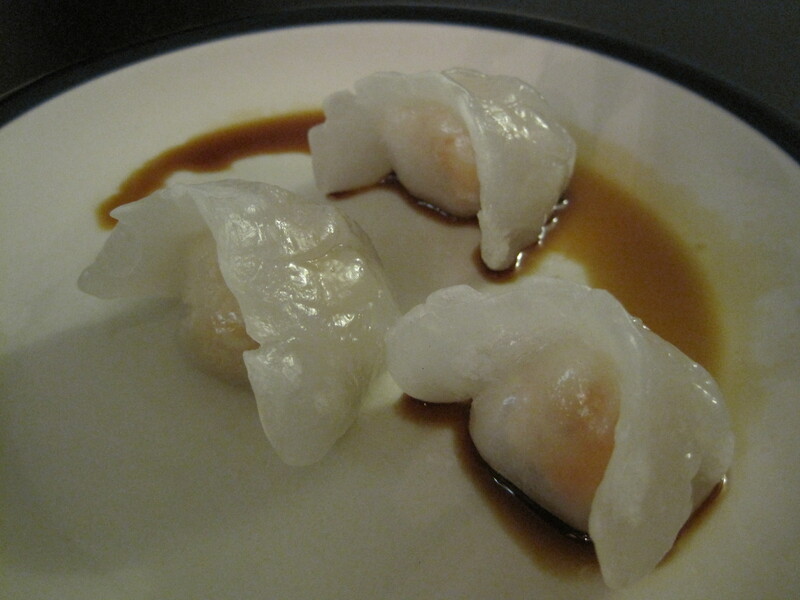 Ha gow (shrimp dumplings) are a bit time consuming to make but you can make large batches and freeze them. Photo instructions for how to wrap ha gow are at the bottom. 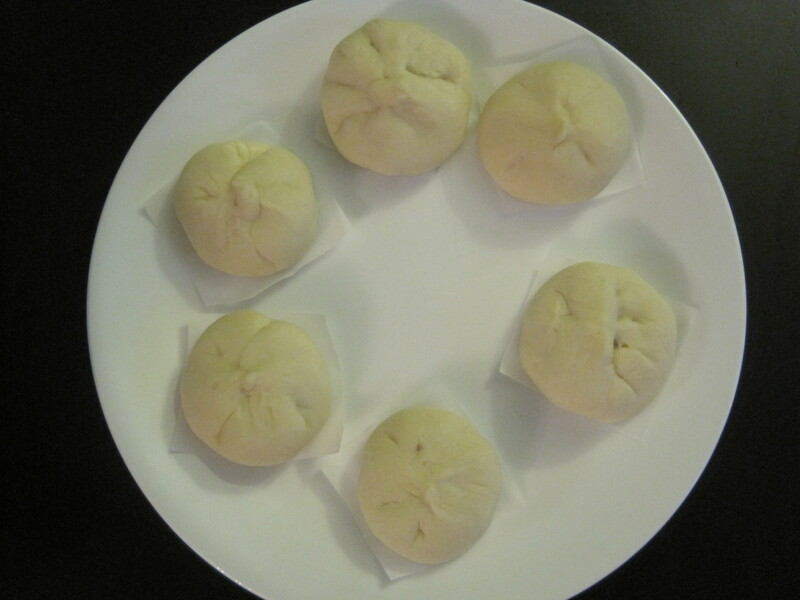 Chinese steamed buns are such great snacks and are often eaten at brunch or lunch. These are really simple to make and although slightly time consuming, you can make large batches and freeze them. I think it’s worth the effort to make these from scratch because the frozen ones, although delicious, contain MSG, preservatives and too much sodium. You can buy pre-mixed steamed bun flour or you can make the buns from scratch; instructions for both have been provided below. Photo instructions for how to pleat steamed buns are at the bottom.